ABOUT ACME SAFETY AND SUPPLY CORP.
Candace Friedman worked since 1981 in the construction industry for 19 years when she decided to open her own business in 1999, Acme Safety & Supply Corp. offers the best service in the traffic control business in town.They are an accredited business with A+ rating with the Better Business Bureau. Superior service, dedication to detail and our customers are what sets ACME apart from other businesses. Customers are more than just a name; at ACME they are people known over time as friends. Try ACME’s friendly service; come by and see our jovial yet proficient team. We offer industrial links and resources from professional organizations in which we believe and support. The voice of the construction industry since 1918 the organization of the Associated General Contractors of America are qualified construction contractors and industry related companies who are highly dedicated to integrity, responsibility, and skill. 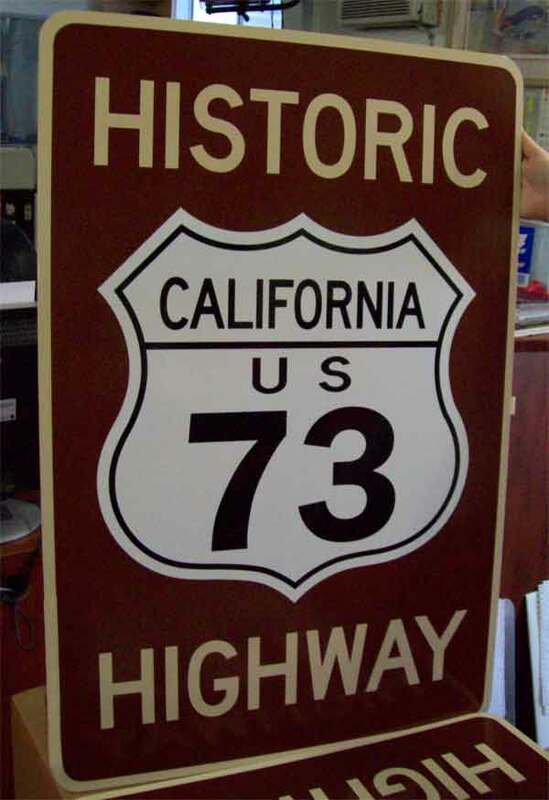 The San Diego chapter of the Associated General Contractors has been around since 1927. This organization is dedicated to the improvement of the construction industry through education of the industry teaching skills, the latest technology, and the advocacy of building the absolute best of projects for both public and private owners. Safety and Health Program Manuals provides businesses and organizations with professionally written and personalized manuals that are affordable. 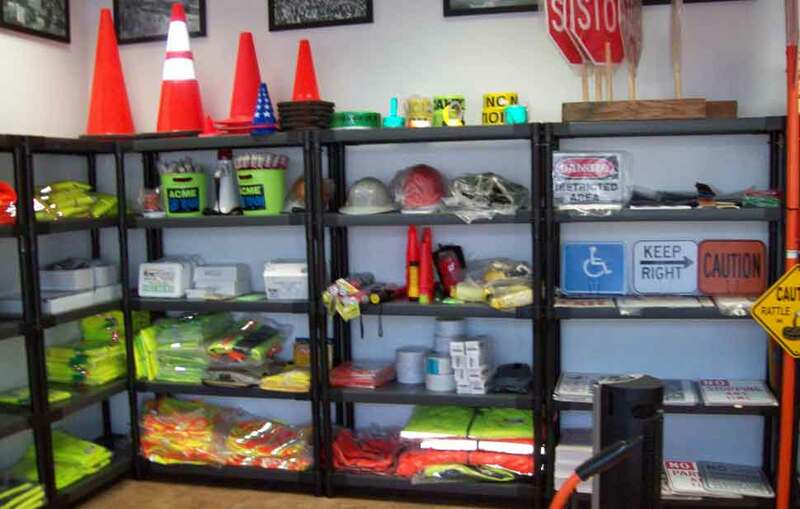 Safety and Health Program Manuals have been in operation since 1998. Safety Training is a website designed to serve as the key to OSHA safety and regulatory compliance and training. The directory contains easy, affordable, and entertaining options for all the compliance, regulatory, safety, and training needs. Acme Safety and Supply Corporation is holding their annual Blood drive Wednesday July 12th, 2017; come by and give blood to save lives! There will be food and drink for all participants. You don’t have to RSVP but if you would like to please admin1@acmesafetysupply.com. See you there!!! Thermal Prints-bumper sticker, hard hat stickers, etc. 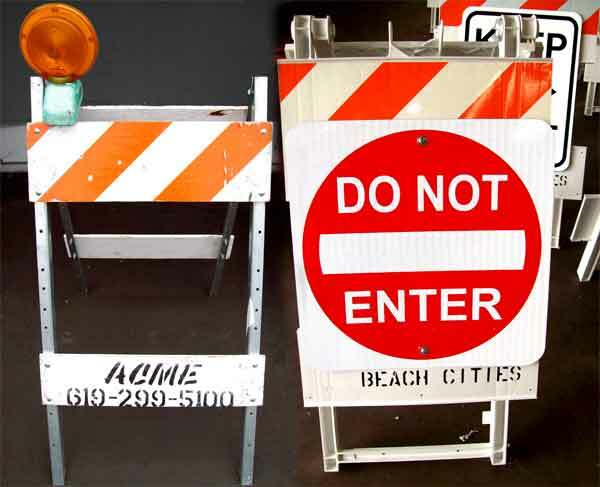 Acme Safety & Supply Corp. We offers a professionally prepared Site-Specific Traffic Control Plans for any project. Let our trained and experienced Specialists visit your job site, speak with your supervisor, and review your projected plan with accuracy and precision. Our agents have developed a good working relationship with the public agencies responsible for approving plans and issuing permits. An “approved plan” will require us to create the traffic plans, having control over the roadway you are working on and go over the details of the plan with the Agency’s Engineer. An “unapproved plan” is created by us and then given to the customer who will aquire approval or return to us for changes. Candace Friedman – President of Acme Safety & Supply Corp. was introduced to construction in 1981 while she was working for a real estate appraiser. Noticing how construction in certain areas affected housing costs, she became fascinated with various aspects of the construction industry. In 1981, she went to work for Callahan Brothers as an expeditor and estimator. In 1984, she left the company and over the next several years worked for various companies where she perfected her skills in estimating, office management and human resources. Candace realized early on that being a woman, in basically a male oriented industry would be a challenge. Candace answered the challenge by being organized, thorough, and dependable. She became the ‘go to person’ for the companies she worked for. But she would soon find out that sometimes that wasn’t enough, if you were a woman. One of the companies she worked for went through an ownership change. Candace was told in a round-about-way that the new owners didn’t want any women on the management team. She had always given 110% on the job and she took it as a slap in the face that she wouldn’t be considered as management anymore because of her gender. But Candace turned the negative experience into a positive one. After much thought and encouragement from others in the industry, she decided to strike out on her own and start her own business. She went to a bank to get a business loan. At first even the banks wanted to speak to her husband because they couldn’t believe that a woman was embarking on a construction related business. Eventually, she got the financing together and opened up her business. She started Acme Safety & Supply Company in April 1999. Despite repeated efforts to discourage her in business, she held her head high and rose above the adversity. One of the first things Candace did as a business owner was to become involved in several industry associations. The networking and interaction with those in the construction community helped Candace understand the industry. Her company grew and after a few years in business they were able to move to a larger facility. 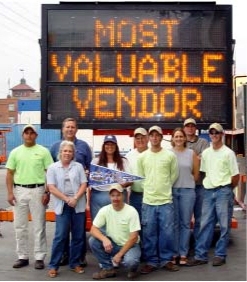 In 2003, Acme Safety and Supply Corp. was recognized as “Most Valuable Vendor” for Super Bowl 2003. Candace and the crew were awarded Super Bowl jackets and hats and a memory they will never forget. Candace has served as the San Diego Chapter President of the National Association of Women In Construction in 2002. She supported the efforts of the association to educate and support women in construction and she is an excellent example of a woman business owner. Refusing to allow discrimination to discourage her or make her bitter she keeps a positive attitude. Candace is also a valued board member of the Associated General Contractors, receiving the coveted award for “Affiliate Member of the Year” in 2003. She also belongs to the Associated Builders and Contractors and supports the efforts of the industry through networking events and serving on several industry committees. Candace has two adopted children one with special needs. With the support and encouragement of her family, she manages to juggle career and home. All you have to do is spend five minutes around Candace to realize how much she cherishes her family. Candace also considers her employees family. She tries to make it a fun place to work. She appreciates the commitment and loyalty her employees show her and she tries to reward those efforts whenever she can. Candace Friedman is a great example of determination and success. Her continued support of the industry has gained her much recognition as the “Go To Person of Construction!” Candace, Contractor News and Views congratulates you on your recent AGC award as “Affiliate of the Year.” You deserve it! Thomas F. Becker, with Logistics, Ridgeway International, Super Bowl XXXVII, said of Acme Safety & Supply Co., “Candace, you should be proud of your company and employees. I am pleased to have worked with them all and greatly appreciate the effort put forth. The personal interest shown by ACME was exceptional and I would whole-heartedly recommend ACME to all. Thank you very much for a job well-done.” The NFL, named Acme Safety & Supply Company “Most Valuable Vendor” of 2003 Super Bowl XXXVII held at Qualcomm Stadium. Candace also made it a point to join several industry associations such as the National Association of Women In Construction, the Associated General Contractors, and the Associated Builders and Contractors. She supported these groups with her efforts and networked with as many people as she could find. She concentrated on developing a staff that was friendly, knowledgeable and service oriented. The business grew by leaps and bounds and they quickly outgrew that small location they had started out in. Nearly three years later they moved to a much more spacious location off Pacific Coast Highway. (They have since moved again to National City). Candace and the entire staff at Acme welcomes visitors to tour the fully stocked warehouse and yard located at 1616 West Avenue, National City, CA 91950. 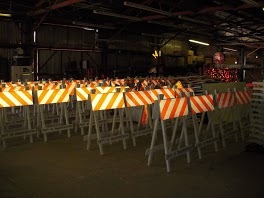 They can assist you with construction signs, (sales and rentals) regulatory signs, warning signs, permanent roadway items, beacons, lights, CMS & arrowboards, cones, barricades, and delineators. 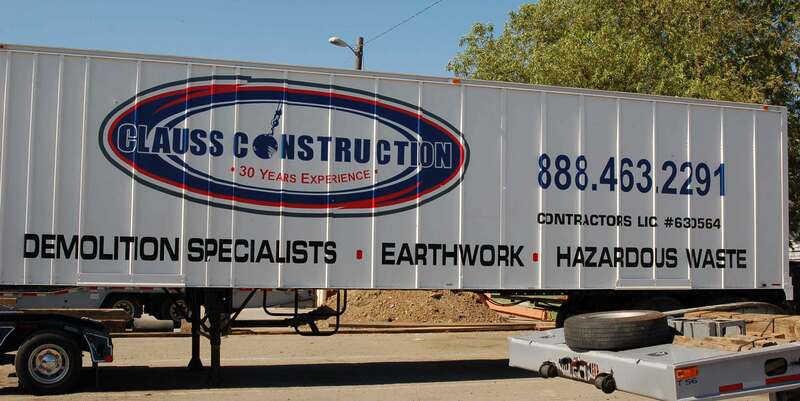 They also offer pick-up, delivery, and set-up or take down service, if needed. Enter your email address to subscribe and receive news notifications by email.